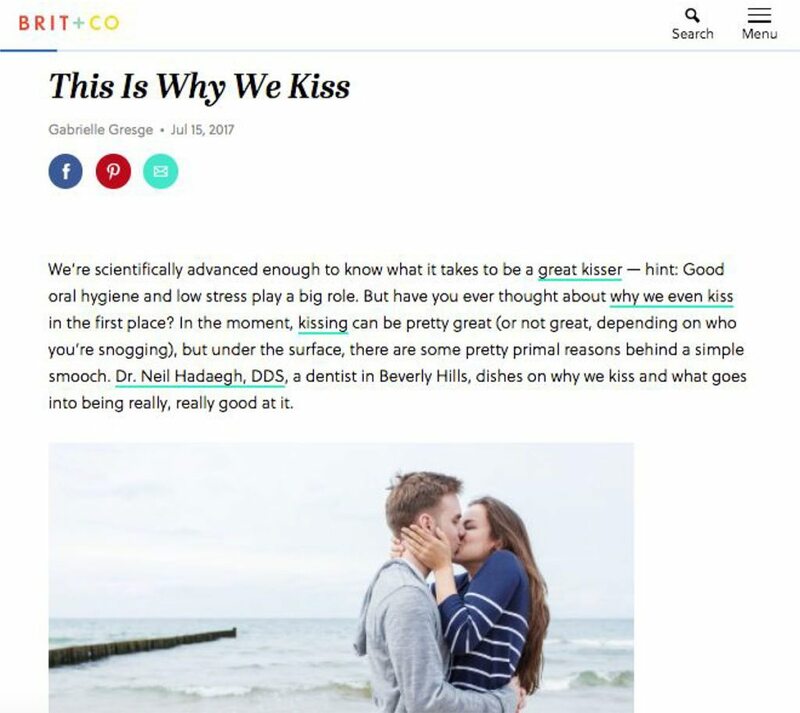 “A lot of scientific studies have speculated that kissing may have evolved to help us choose a suitable partner, or to realize when someone isn’t a match,” Dr. Hadaegh says. Kissing is an especially effective way to narrow down your romantic choices because it involves so many of the senses. Think about it: When you kiss someone, you are close enough to them that you can smell them — and by default, taste and touch are also involved in the interaction. Add in seeing that person up close and hearing them whisper sweet nothings, and you’ve got a pretty sensory picture of that potential partner. But there’s more to the story: In addition to the senses kissing triggers, the action also gives us clues about that person’s personality. “A kiss might even tell us our potential partner’s level of commitment and genetic compatibility,” Dr. Hadaegh says. “In a relationship, the amount that a couple kisses is proportional to the level of satisfaction in their relationship.” In other words, if the kissing is good in the beginning, you’ve got every reason to keep it up! Since people are different, their preferences will vary as well. However, Dr. Hadaegh has found some pretty significant habits of great kissers. Interestingly, these habits vary among men and women. 1. Taking the Lead: According to Dr. Hadaegh, men actually prefer for women to take the initiative. When it comes to both sexes, however, matching your partner’s tempo is key. This is where the chemistry comes in. 3. Creativity: Best practices shouldn’t constrain you, Dr. Hadaegh says. In fact, incorporating variation is a great way to stand out and express your personality. Mix it up, ladies!